From an early age we want our kids to have every opportunity at their disposal to reach their full potential. Whether it’s at school, on the sporting field, their extra-curricular activities and hobbies or just at life in general, we want them to do their very best in all they do. We also know that when our children are happy and healthy, they’re more likely to be at their best. Melbourne Natural Medicine Clinic has a children’s naturopath at our practice who can offer you and your child qualified advice and reliable treatments for their specific needs. One simple fact is for certain; kids do have special health requirements. Children are not simply smaller versions of adults; they are physiologically different in the way their bodies work compared to ours. 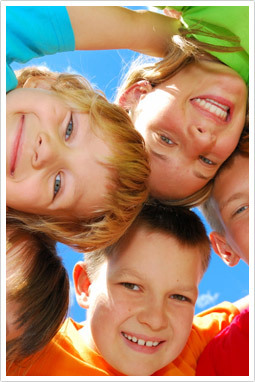 Have you noticed that kids suffer different health problems to adults? Illnesses like glue ear or ear infection, for example, are common in children but less so in adults. When was the last time you heard an adult complaining about how annoying their colic or cradle cap was? So we know that kids’ bodies work differently than adults and that they also have different health problems. It makes sense that adult supplements are often not suitable for children and that kids need specific remedies for their specific needs. By consulting a specialist children’s naturopath, you can address your child’s health concerns in a meaningful way; one that is tailored to their specific needs. Is your child sick regularly? If you’d like to find out how a children’s naturopath can help your child realise their potential, get in touch with Melbourne Natural Medicine Clinic today. And if you find it a struggle to keep up with your kids, we will be happy to help you with that too! You can make an appointment online, email us, or phone us on (03) 96862566. Our clinic in 49 Chetwynd St, North Melbourne, is open six days a week.